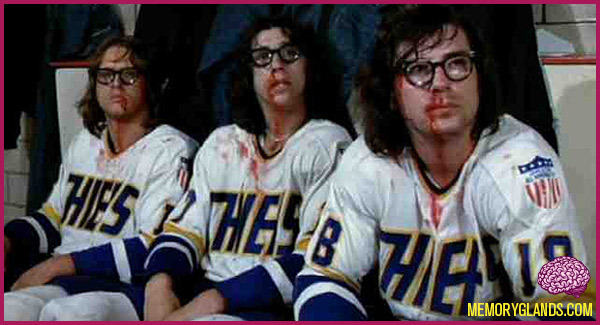 The Hanson Brothers are fictional characters in the 1977 movie Slap Shot. The characters are based on three brothers who were actual hockey players; two of them starred in the film. The movie, which stars Paul Newman, was written by Nancy Dowd. The story was based in part upon the experiences of her brother, Ned Dowd (who appears in the film as notorious hockey player Ogie Ogelthorpe), when he played for the North American Hockey League club in Pennsylvania called the Johnstown Jets. wearing extremely thick glasses, and for playing with toy cars and trucks in their hotel room although the brothers range in age from 18 to 20.